Dance Research: Reference Materials with Suggestions for Future Research. Moomaw, Virginia, ed. Washington, D.C.: National Section on Dance, American Association for Health, Physical Education, and Recreation, 1958. Educational movements and methods: with an introduction by John Adams. by C.W. Kimmins. London: Harrap, 1924. Extraclass and Intramural Activities in High Schools. Roberts, A.C., and Draper, E.M.. 1928. Folk Dancing, a Guide for Schools, Colleges, and Recreational Groups. Richard G. Kraus. New York: Macmillan, 1962. 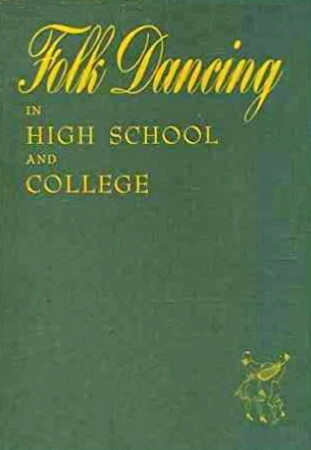 Folk dancing in high school and college, by Grace I. Fox ... and Kathleen Gruppe Merrill, drawings by Charlotte St. John. New York: Barnes, 1944. School Dances. Gilbert, M. B.. New York: Schirmer, 1913. Schoolroom games, by Neva L. Boyd. Chicago: Recreation Department, Chicago School of Civics and Philanthropy, 1919; Chicago: Fitzsimons, 1919, 1932.